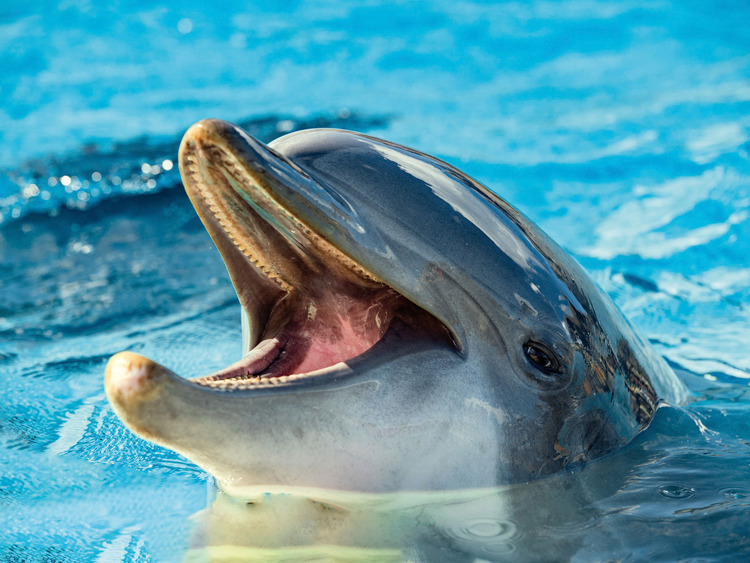 We will dive into deep waters in the company of playful dolphins: Dolphin Swim, an extraordinary experience to be had at Ocean World in Puerto Plata. After we have received some instructions, we will dive in to observe up-close how the dolphins behave. With our 20-minute **swimming session"", we will experience the unforgettable feeling of playing with these affectionate mammals and feeding them. It will feel like we are flying on water as we are delicately lifted by our new friends or whilst we grasp onto their fins. An experience sure to be one of the most memorable of our visit to Puerto Plata. Included: return transfers, entry to the water park, snorkelling at the Tropical Reef Aquarium, as well as the use of the swimming pool and Dolphin Beach (with sun lounger). Don't forget to bring your bathing costume, a towel, sun cream and cash for photos and souvenirs. Before entering the water, you must take a shower. Cameras and glasses are not permitted in the water. Participation in the Dolphin Swim experience is prohibited to those under the age of 5 and pregnant women. Minors under 11 years of age must be accompanied in the water by an adult. You must remove rings, necklaces and earrings to avoid harming the animals. All participants must be able to swim and must wear the life jacket which will be provided by Ocean World.